Have you heard about House of Boom’s charitable efforts through Jump4Jump? Find out how you can help support this cause below! 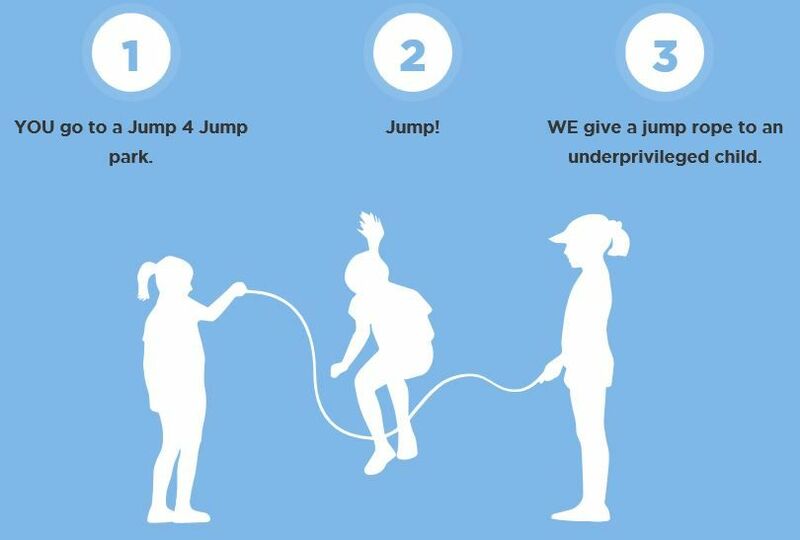 For every customer that jumps at House of Boom from 6-9pm every Wednesday, a jump rope is donated to an underprivileged child in a developing country. Customers and supporters can also help "Give the Gift of Jump" by making a tax deductible charitable donation. Want to learn more? Check out this videofrom Jump4Jump. This is yet another reason we love House of Boom. Now that summer has arrived, keep this Wednesday evening charitable window in mind. What a great opportunity to have some fun with your children and teach them about the value in giving back!